*Post contains PR samples. All opinions, as always, are solely my own. Valentine’s Day is right around the corner and that means its time to pick up some gifts for your loved ones. Men can be quite tricky to shop for and if you are stuck on ideas on what to buy, worry not. Because, I have some wonderful suggestions that will help you out. Check them out below and see if any of them pique your interest. This men's weekend bag from Baylis & Harding is ideal for the man who loves to travel. Featuring a musky black pepper and ginseng fragrance the weekend travel bag contains all essential toiletries like a body soak, shower gel, hair and body wash, body lotion and aftershave balm. And all of it in the very masculine black pepper and ginseng fragrance. Mr.H gives it a big thumbs up! The weekend bag can be ordered online from VictoriaPlum.com who are a family business that offer a range of stylish, designer products at a price that's affordable. Hydro Flasks are vacuum insulated stainless steel bottles. They come in 7 different sizes, with 2 different lid types and a range of colours. We had put the 21 oz. (621ml) Hydro Flask to test and loved it and it has been a constant companion on our road trips since. In this guide, I have included two new products from Hydro Flask - a wine bottle and a wine tumbler. The 25 oz wine bottle holds an entire bottle of wine and features the same TempShield™ double wall vacuum insulation that is in the original Hydro Flask bottles. This vacuum insulation helps keep the wine at the perfect temperature while the leakproof cap prevents any leakages. The bottle is made with durable pro-grade stainless steel so it doesn't retain or transfer flavours. The wine bottles pairs with Hydro Flask's 10 oz Wine Tumbler which holds two standard pours. The tumbler has a refined shape that is ergonomic to hold, an insulated press-in lid and has the same pro-grade steel construction as the bottle. Both the bottle and the tumbler are BPA and Phthalate-free and come with lifetime warranty. 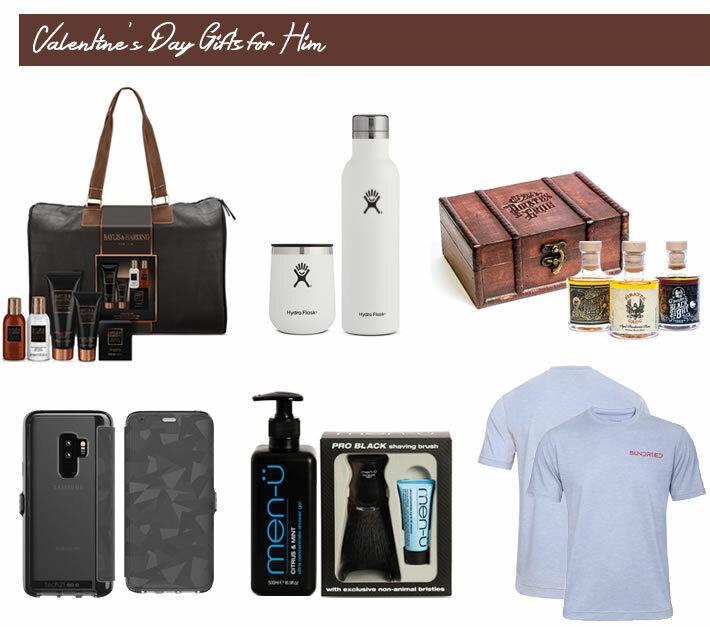 Find Me A Gift have an impressive selection of Valentine's Day gifts - gifts in all budgets, from simple and funny gifts to quirky and luxurious ones. After browsing through their Valentine's Day range, I picked the Pirate's Grog Rum Miniatures Gift Set which I feel would make a very fine gift not just for Valentine's Day but any other occasion too. Pirate's Grog Five Year - A fine golden rum, aged for five years in white oak barrels to create a deliciously smooth finish. Originating from the island of Roatán, off the coast of Honduras, this has notes of vanilla, sweet butterscotch and raisin. Pirate's Grog No. 13 - A 13-year old Central American golden rum blended with a splash of the classic Pirate's Grog recipe. With notes of peach, apricot, white chocolate and vanilla, this is a rich and full bodied rum to be enjoyed over ice or neat. Black Ei8ht Coffee Rum - An infusion of smooth Pirate's Grog Five Year rum with strong Brazilian coffee creating a lovely balanced blend, with notes of caramel, chocolate and a hint of toffee. A fabulous gift! You can check out all of Find Me A Gift's Valentine’s Day offerings here. For the man who values his phone or tablet Tech21 have the perfect gift(s). Phone and tablet cases that not only look cool but are also ergonomic and most importantly will protect the device from tumbles and drops. Tech21 are one of Britain’s fastest-growing tech companies who create stylish phone and tablet cases that enhance the experience of using your phone or tablet. On their website you will find a large range of phone cases for all of the latest smartphones in a selection of colours and designs. The Evo Wallet (for Galaxy S9) featured in this guide has concealed storage for two cards and offers protection from drops up to 12 feet (3.6 meters). The case has been tested to work perfectly with wireless connectivity and has a magnetic closure to keep the device safe and secure. Tech21’s Evo Wallet range would be perfect someone who needs a professional, stylish case with quick access to their contactless card while commuting. British men’s grooming brand Men-u whose USP is their ultra concentrated products have a number of products that would make great gifts. On their website you will find grooming essentials gift set, travel kit, shave kit etc. Featured in this guide are two of their best sellers - Citrus & Mint Shower Gel and the Pro Black Shaving Brush. Men-u's ultra concentrate shower gels have a high percentage of active ingredients which means that the products last long. Unlike regular shower gels, this one doesn't disappear through the fingers rather creates a rich lather with added benefit of moisturisation. The Citrus & Mint Shower Gel includes Pro Vitamin B5 and Vitamin E and has a fresh citrus fragrance. The pump dispenser provides accurate dosage ensuring that there is minimal waste and the product lasts longer. 'A new generation of shaving brush for a new generation of user' - say Men-u about this shaving brush. So what is different about the shaving brush, I hear you ask. Well, men-u bristles are unlike animal bristles that are normally used in shaving brushes. These bristles are manufactured to be smooth, solid & non-absorbent. What this means is that they create better lather and have more longevity! Comes with a 15ml Shave Crème buddy tube. For someone who is into sustainable fashion, Sundried's offerings would make an apt gift. Sundried, is a UK-based activewear brand, who have created a new range of ethical sportswear for men and women made entirely from 100% recycled materials. 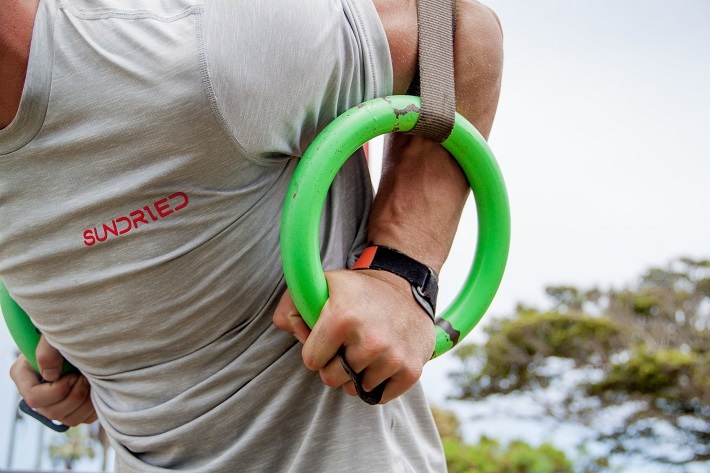 The men's range from Sundried includes activewear for both indoor and outdoor training and features products like running leggings, technical t-shirts, physique-sculpting gym wear, tri suits and even items like water bottles and reusable eco cups. Featured in the guide is the Sundried Olperer Men’s T-shirt which is a part of the brand's Eco Charge range and is made from recycled coffee grounds. Some of the key features of the t-shirt are its sweat-wicking, temperature control, odour-blocking and UV protection properties. According to Sundried, the t-shirt dries 200 times faster than cotton and is super soft, breathable and lightweight making it ideal for all kinds of scenarios - sports, commuting or wearing it to work. So, those are some of my gift suggestions. Share your Valentine's Day gift ideas for men in the comment section below.